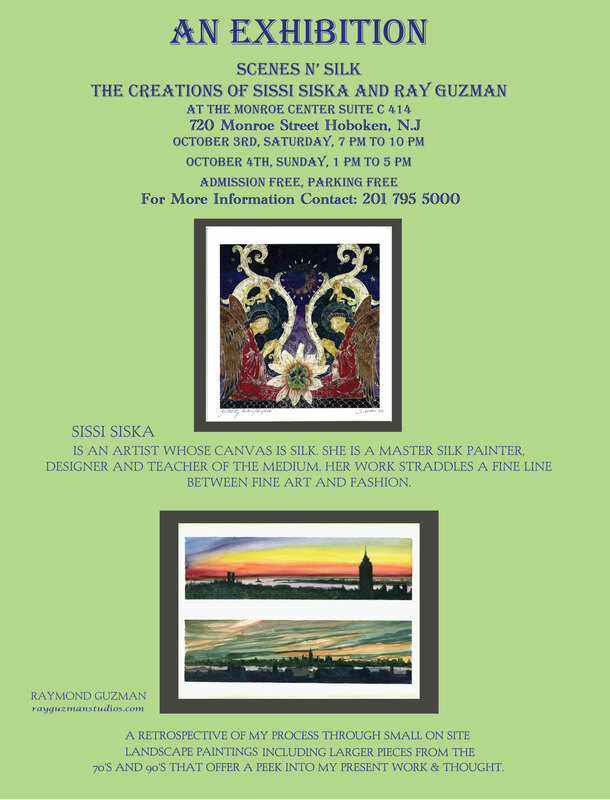 ART EXHIBITION STILL HAPPENING THIS WEEKEND! We are defying the storm! Please join us for a joint show . There will be works on a variety of mediums including watercolor ,acrylic oils and dyes on silk. Affordable small prints are available for sale as well.